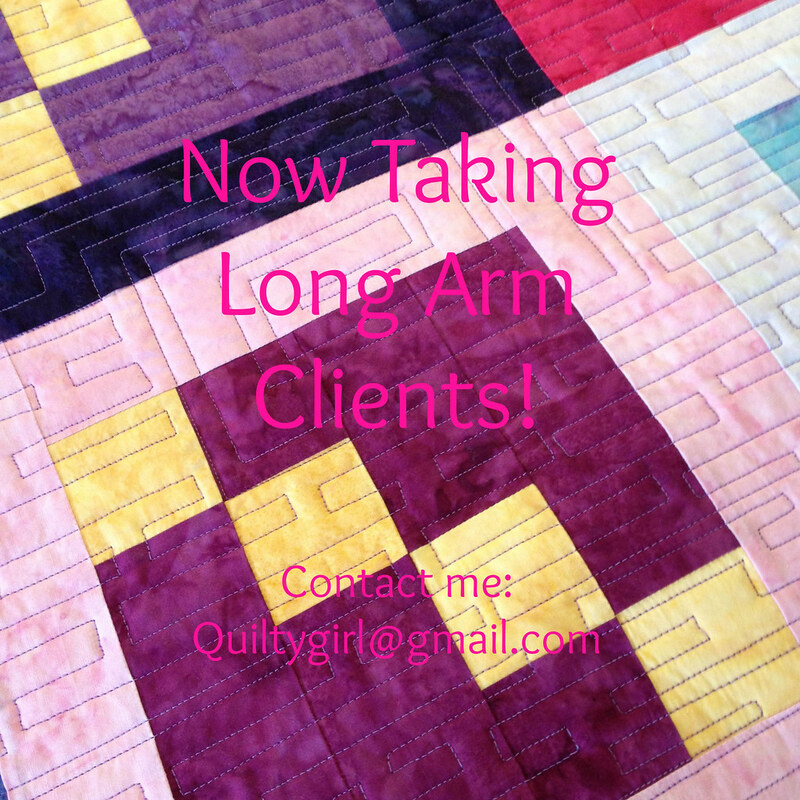 I'm excited to announce that I have started to take long arm clients! Take a peek at some of the photos below, and feel free to contact me via email with any questions! 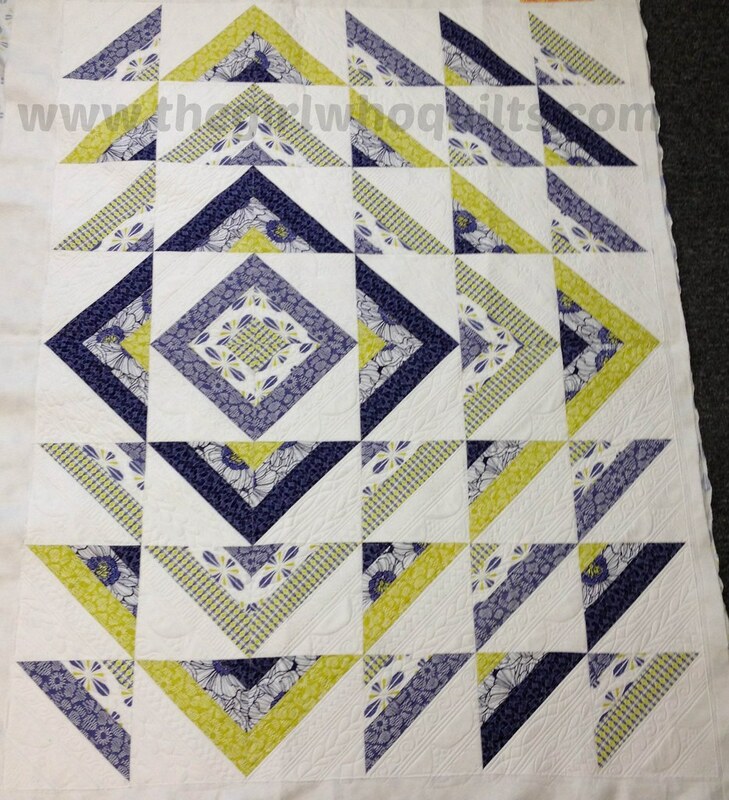 I have been doing a lot of quilting for my friend, Jessica, recently! 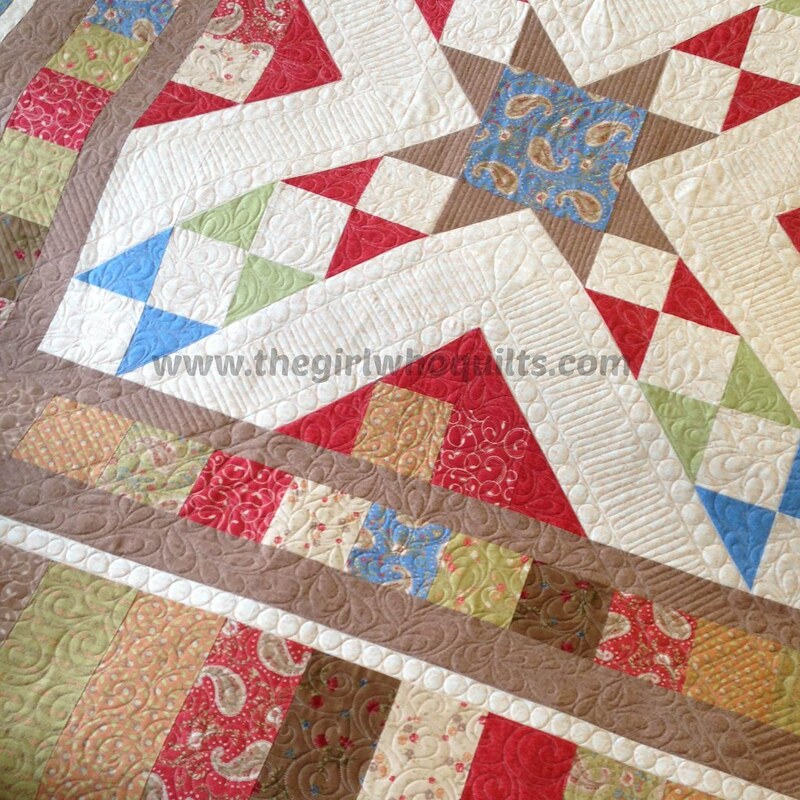 She started out as a bag pattern designer and then last year she bought my favorite local quilt shop. She is still designing bags, and has started writing quilt patterns as well. 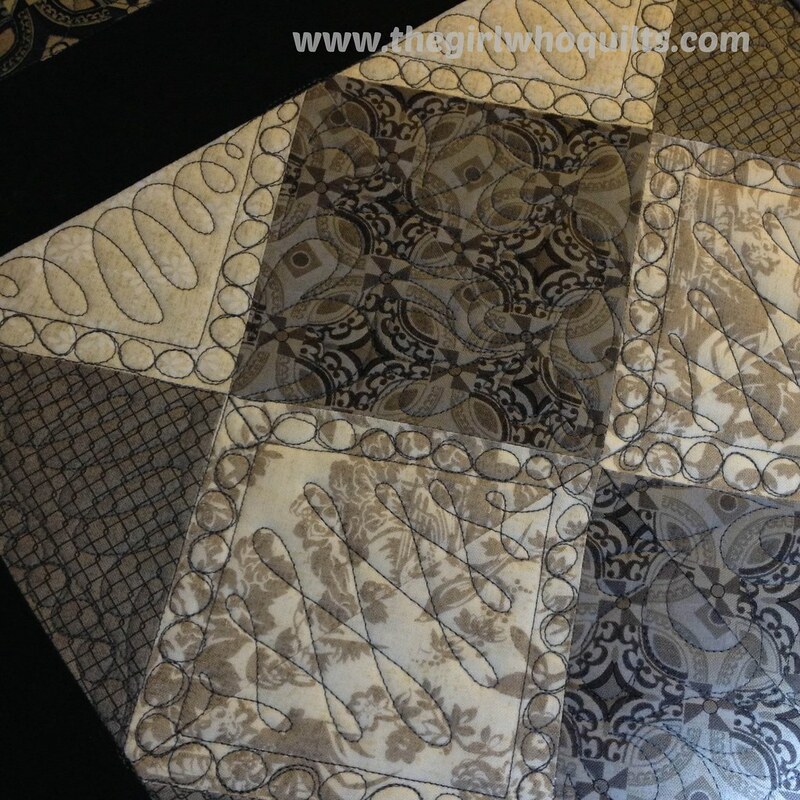 So far I have quilted all of her pattern samples, and it's been so fun! 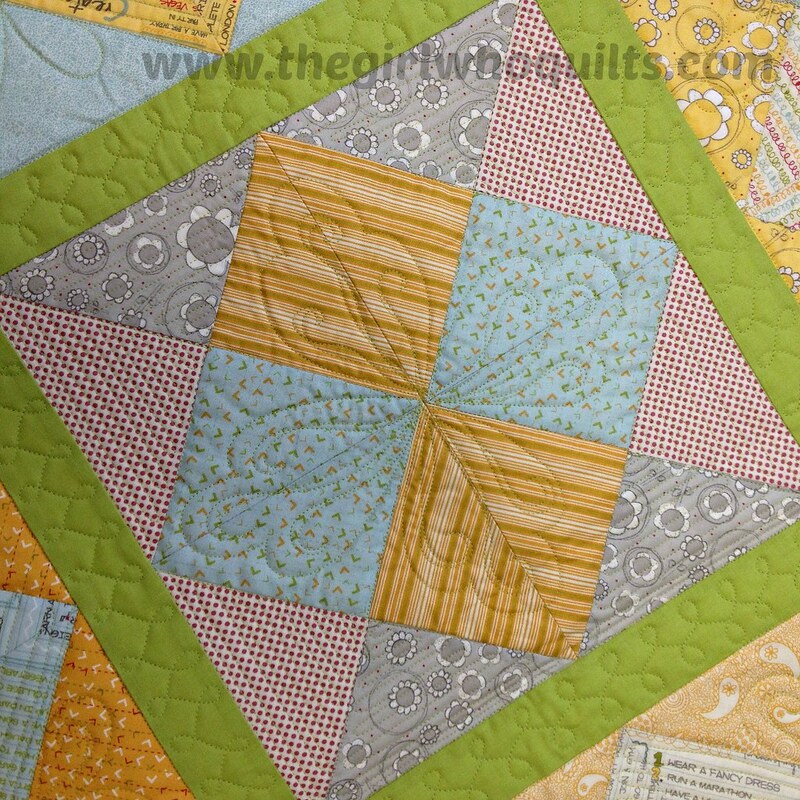 This quilt is her Sequence pattern. 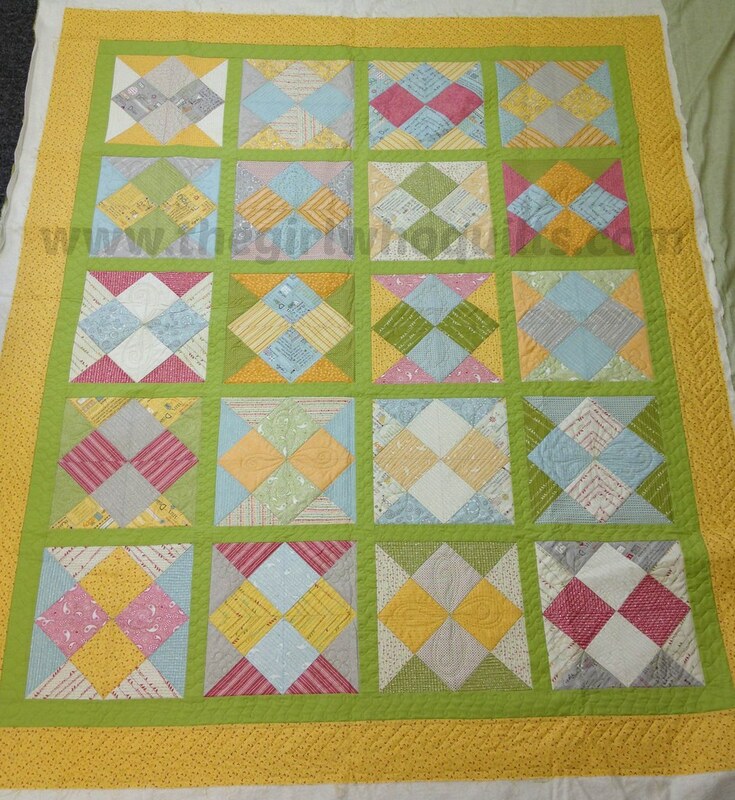 Unfortunately I forgot to snap a photo of the full quilt, but I will do that the next time I'm in the shop! I really love how this turned out! 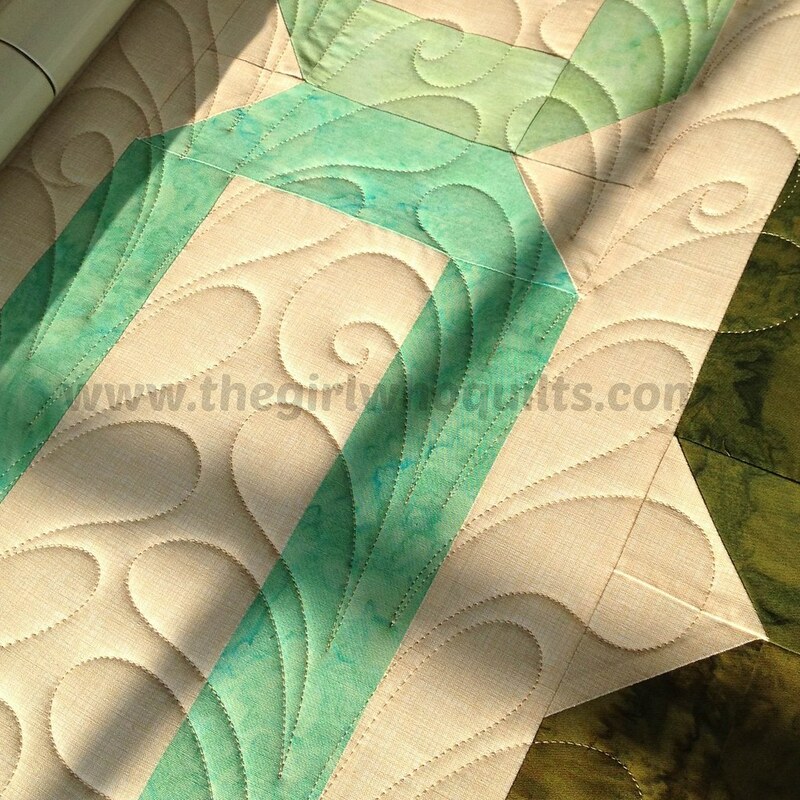 This is the Ripple pattern, one of the first quilts that I long armed for Jessica! 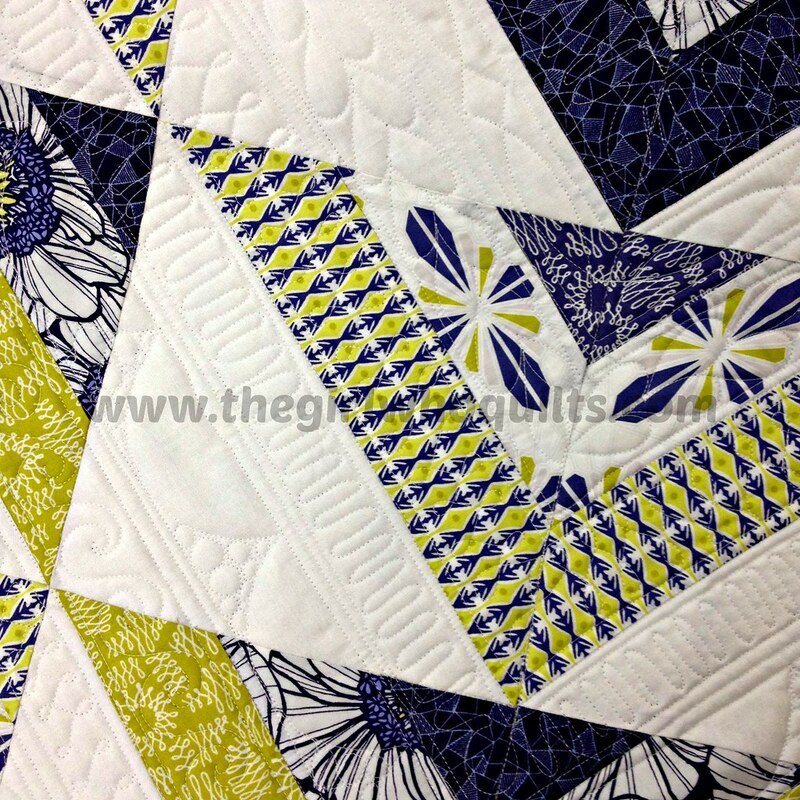 I love the look of this one - I have another version on the long arm now! 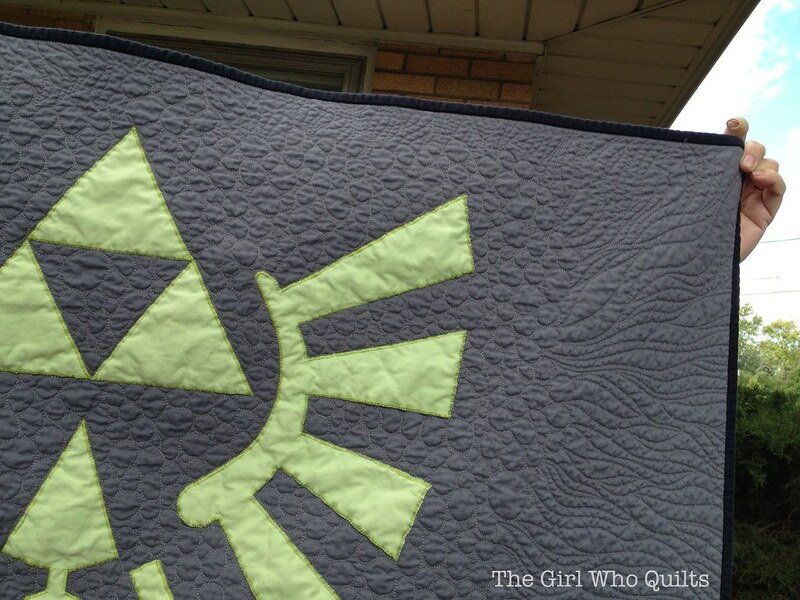 I've shown this one before, the Triforce quilt! 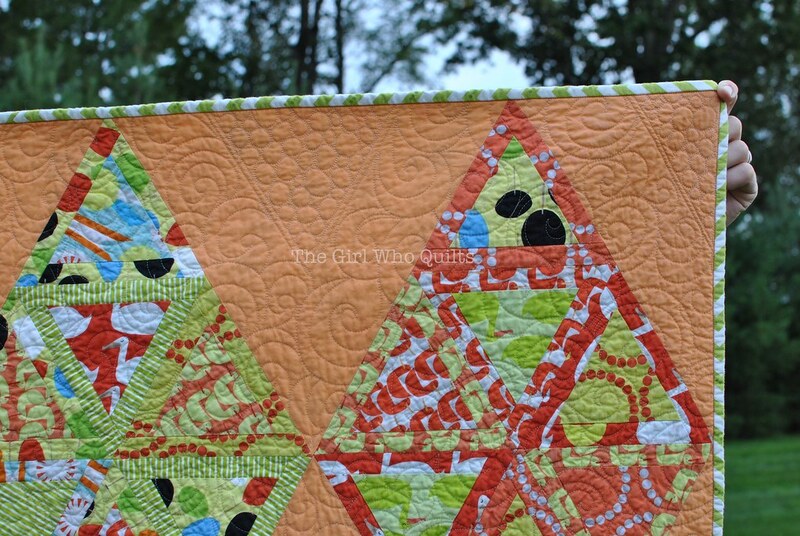 And then there's the circus peanut quilt! I must admit, it's scary to put my work out there for the world to see! 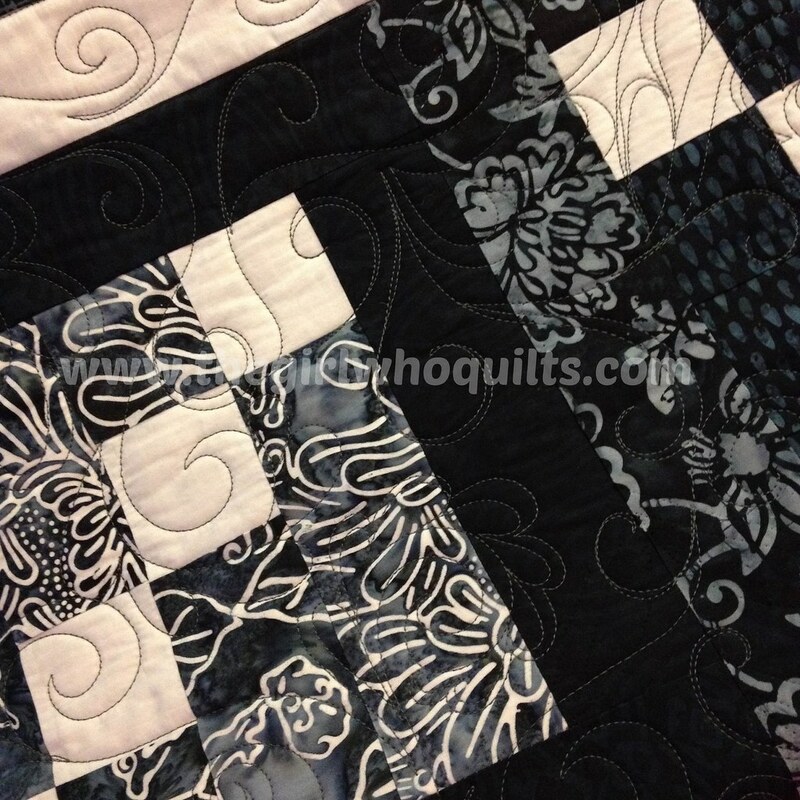 I have really enjoyed long arming so far, though, and I especially love quilting for others, and witnessing their excitement when they see their work all quilted up. Right now my turn around is about 1-2 weeks after I receive your quilt. That means you could have your quilt back before the Christmas holiday! You can also find me on Instagram (thegirlwhoquilts) and facebook now! I tend to use Instagram the most, and there are lots of in progress shots in my feed.